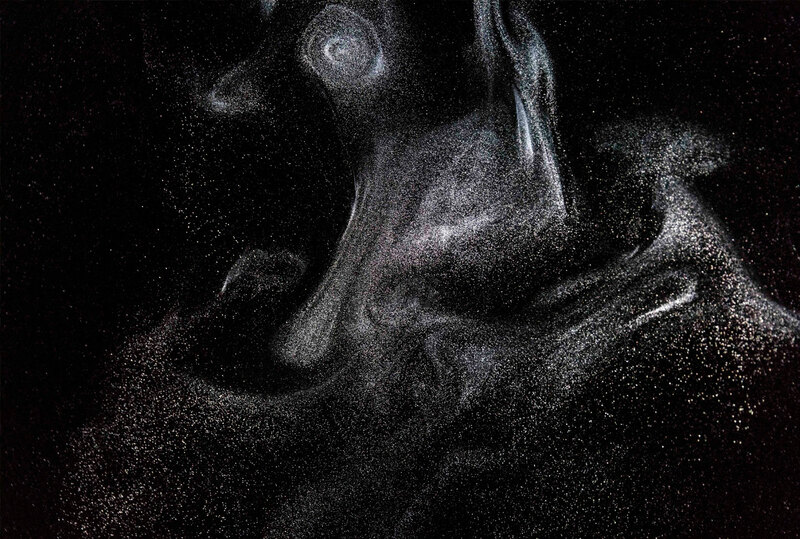 Dust particle are suspended in a light beam which is slowly scanning a dark room. 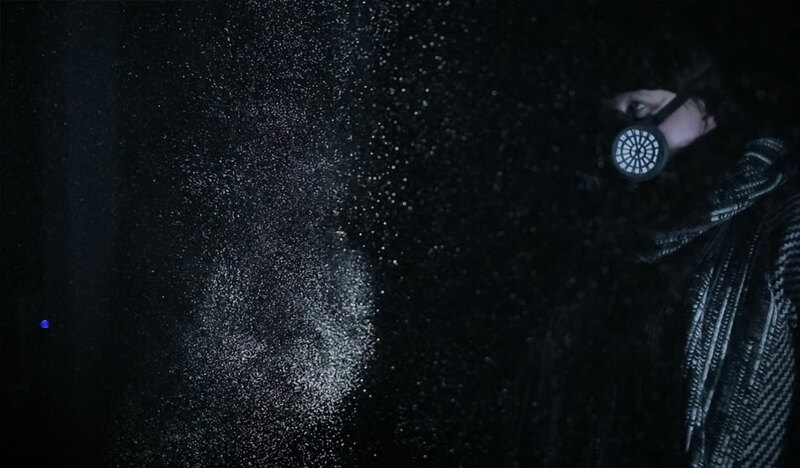 Visitors can enter wearing a protective gas mask and witness the silent complexity of matter with millions of fragments forming a temporary micro universe. Remote sounds of human masses and activity fill the otherwise empty room. The work of Lawrence Malstaf (1972, Bruges, Belgium) is situated on the borderline between the visual and the theatrical. He develops installation and performance art with a strong focus on movement, coincidence, order and chaos, and immersive sensorial rooms for individual visitors. He also creates larger mobile environments dealing with space and orientation, often using the visitor as a co-actor. His projects involve physics and technology as a point of departure or inspiration and as a means for activating installations. Lawrence Malstaf has received several international awards in the field of art and new technology. He is also well known as an innovative scenographer in the dance and theater world. In 2008 he receives the Witteveen + Bos - prize for Art + Technology (NL), in 2009 the Golden Nica at Prix Ars Electronica (A) and in 2010 the Excellence Prize at The 13th Japan Media Arts Festival in Tokyo (JP). In 2011 his project 'Pavilion' is selected for iMinds Art&D call (B). In 2013 he wins the Norwegian Hedda Prize for best scenography. This summer Lawrence Malstaf had a solo-exhibition ’The Poetics of Immersion' in São Paulo (BR) organised by FILE - Electronic Language International Festival. He currently lives and works in Tromsø (Norway) and exhibits internationally.